Check out Part 1 first! The doors for Sanctuary close on Monday April 22. If this work interests you, then come check out the program. Presence and self-compassion are woven into every aspect of Sanctuary. PLUS, we will practice how to find the time and then actually incorporate these practices! This week’s video is based on the article, ““The Clinician as Neuroarchitect: The Importance of Mindfulness and Presence in Clinical Practice.” by Baldini et al. Click here for the link to the paper. I adore these concepts because they help me understand the “magic” that happens when we share our stories together in community. Registration for my 8 week online program, Sanctuary, where we do just this, is open now. I’d love for you to join me in the next round. Watch this video to learn about how sharing our stories actually changes the connections in our brains leading to higher levels of positive well-being. It’s fascinating! Are there things we know, subconsciously, before we know them? Why do we put of pursuing the truth or acknowledging what’s happened? If we are striving for understanding and healing, maybe we must revisit our stories time and again. What story of your needs revisiting? What a treat to have the pleasure of meeting author Dani Shapiro several weeks ago when she was in town to promote her new memoir, Inheritance. I’ve loved all of Dani’s books because she dives headfirst into the pain and shows us how crafting a narrative helps to get to the other side. Inheritance is fantastic for me because there’s a lot about genetics and ethics in the book, along with some big philosophical questions like Who am I? In this video I explain the genetics behind how it was determined that Dani’s half sister was not actually her half sister. Plus I get into the Who am I question and how it might prompt some exploration in you. If you are considering at home DNA testing for health, ancestry or any other reason it would behoove you to meet with a genetic counselor first. Find someone here. If you have specific questions about your test results, check out my friend Brianne’s site, Watershed DNA. She’s the absolute expert and my go-to for all of this. Underwent testing and now have a story like Dani’s to tell? Reach out to me - I’d love to help you find meaning in the experience as you weave your new identify into your life. I’ll be back next week with my second video on Inheritance . Dr. Boyce’s conclusions from The Orchid and the Dandelion are so well aligned with the mission of Orchid Story it has me dancing with glee over here. Watch my final video to understand what I mean. Like these videos? You’ll love my weekly newsletter where I get into the stuff (purpose, self-limiting beliefs, other people’s opinions) we are all rubbing up against and take a look at how we can reframe it. If you’re looking for someone who is real on the Internet, you’ve found her. Sign up here. Season 1 of my Sanctuary program was so successful I am running another Season starting at the end of April. Read all the details and get on the first to know list. If you love thinking in big strokes with real-life examples woven in, you need to get on my weekly newsletter here! The next round of Sanctuary (Story + Community = Healing), my eight week online program, is coming soon. Get on the first to know list for all of the details. Where did the name for Orchid Story come from? From the very theory discussed in Dr. W. Thomas Boyce's new book! Join me to learn more about this fascinating idea that helps us better understand our children and ourselves. You can find the David Dobbs article from the Atlantic here. Reach out to me with your reactions or questions about the science. I’m obsessed with the ideas in this book! Sanctuary is OPEN for enrollment! Check out the video or just head over to all the details! It may not always be the best time to write your story of a challenging time. Tune in to hear what to consider before you pick up your pen. 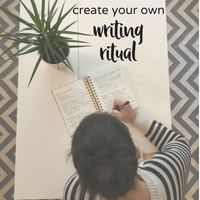 Then, download my free guide to get your started on your own writing journey, if the time is right for you. I had so much fun collaborating on this webinar with the James Madison University Alumni Association. What a special opportunity and a privilege. Watch it and get inspired to tell your story. Then reach out to get started with me! I made a video! As I start thinking about next steps with my business (a class, perhaps!) I want you to get a sense of who I am and how I teach. In this video I give 3 steps to re-write the story that is weighing you down and a real life example I'm currently working on. Plus, bonus!, how this stuff actually works and shows up in your life.